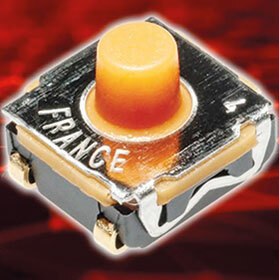 C&K has extended its KSC range of tactile switches with the addition of a new dual-circuit model. The new KSC-DCT tact switches offer single-pole double-throw, normally-closed normally-open dual-circuit functionality that provides two outputs from a single input. Housed in a tiny 6,2 x 6,2 x 2,9 mm PCB-mount package, the silicone 70SH actuator included in the package extends the height to 5,2 mm above the PCB surface for easy operation and easier integration through pre/post travel. Rated for 300 000 operations, the switches require an operating force of 4,75 N and provide a nominal travel distance of 0,85 mm. The switches are IP67 sealed and operate over the temperature range of -40°C to +85°C, making them suitable for use in harsh environments, such as those found in automotive, industrial and medical applications. The technology will fully deliver on its promise when people can go about their everyday lives without ever worrying about carrying cables or power banks along with them.